Symptoms included dry eyes, blurry vision, fatigue and neck and shoulder cramping. The survey released Thursday by the Vision Council, a trade group for makers of eye care products, warned of serious long-term eye risk, including macular degeneration and cataracts. Here, readers might pause to blink. 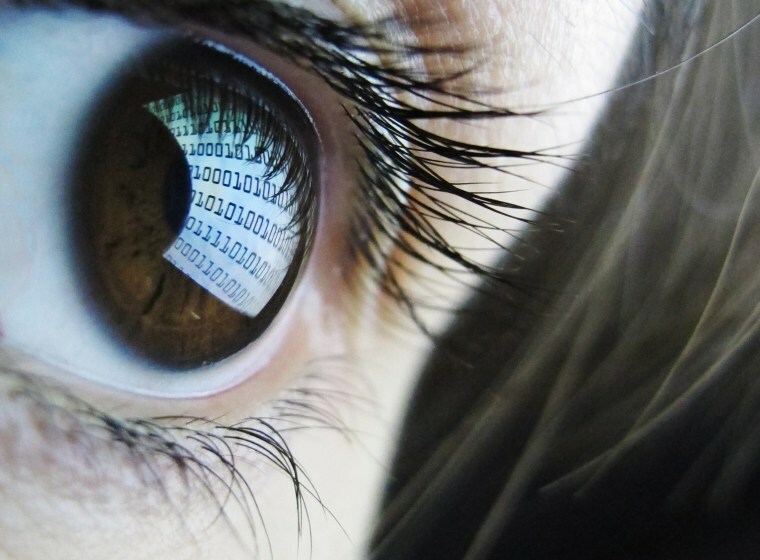 The intense stare is part of what makes screens so hard on the eyes, said Dr. Joshua L. Dunaief, associate professor of ophthalmology at the University of Pennsylvania’s Scheie Eye Institute, who has no connection to the Vision Council. The solution, he said, is to blink every 10 seconds or so. The vision council is promoting another solution at the International Consumer Electronics Show (CES) in Las Vegas: special lenses made for looking at screens. But while there may be hype in the push for “computer glasses,” the survey does point out some very real hazards of spending hours looking at screens. The survey of 7,160 adults in the United States, taken online in October, found that 60 percent of respondents said they spent at least six hours looking at screens daily, and 28 percent reported viewing screens for 10 hours or more. Seventy percent reported eye discomfort in the poll administered by Survey Sample International using a statistically balanced sample. “I see what I would consider a normal patient population, representative of the average experience most people are having,” Brooklyn optometrist Justin Bazan, a paid consultant to the Vision Council. “And the problem is that they think [such strain] is normal. It’s so common and pervasive, they consider it a cost of doing business. They don’t know there are things you can do” to prevent it. Other steps to make our screen addictions easier on our eyes include positioning desktop screens at about arm’s length without any tilt, holding small screens slightly below eye level, eliminating glare from screens, and looking away from screens for a short time at least every 20 minutes. Of course, as many recent studies have pointed out, you can, and should, get out of your chair and walk around. That’s not only good for your eyes, but your cardiovascular system, too. More controversially, the Vision Council promoted the idea that blue light emitted by screens could lead to age-related macular degeneration and cataracts. Studies of over 800 Chesapeake Bay watermen in the 1980s and 1990s showed that fishermen, who are exposed to direct and reflected sunlight for many hours per day over years, had an increased risk of later eye disease. Subsequent analysis showed that light of 400-500 nanometers in wavelength, so called blue light (as well as some other wavelengths) was implicated. More recent laboratory research of eye cells in dishes has suggested that intense blue light can create eye damage due to oxidation, or free radicals. “It’s most likely there is some level of damage,” Bazan said. Though unable to point to any research showing levels of blue light emitted by screens could induce such damage in living people, he said he recommends heavy screen users wear protective filtering glasses whether or not they usually use glasses for vision correction. Dunaief suggested another solution for anybody worried their constant screen time might lead to later eye disease: wear sunglasses with gray or brown lenses when you’re outside, and turn down the intensity of the screens to the lowest comfortable setting. “Adjusting the light on the screen ought to reduce whatever risk may exist,” he said.